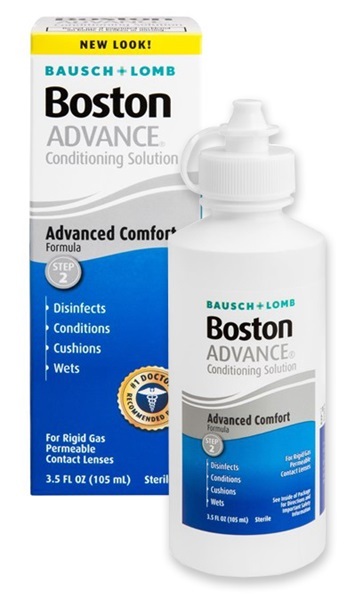 Boston Advance Contact Lens Solution, 3.5 oz. 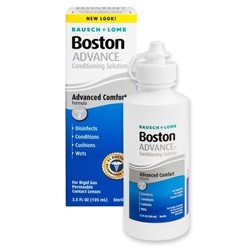 Sterile Boston Advance conditioning contact solution in 3.5 oz. bottle. For rigid, gas permeable contact lenses. Manufactured by Bausch & Lomb. Comes as singles.